Gap Filler Comments - 21 December 1962. Access Roads: Gap Filler Radar Stations - 20 December 1962. Access Roads: Gap Filler Radar Stations - 19 December 1962. Gap Filler Radar Stations - 18 December 1962. Maintenance of Access Roads: Gap Filler Radar Stations - 17 December 1962. Access Roads: Gap Filler Radar Stations - 17 December 1962. Building Keys: Gap Filler Radar Stations - 12 December 1962. Completion of Gap Filler Sites - 11 December 1962. Access Roads: Gap Filler Radar Stations - 11 December 1962. Storage of Diesel Alternator Sets - 30 November 1962. Bridgetown and Summerville Equipment - 29 November 1962. Care & Custody: Gap Filler Radar Stations - 28 November 1962. Access Roads - 27 November 1962. Care & Custody: Gap Filler Radar Stations - 16 November 1962. 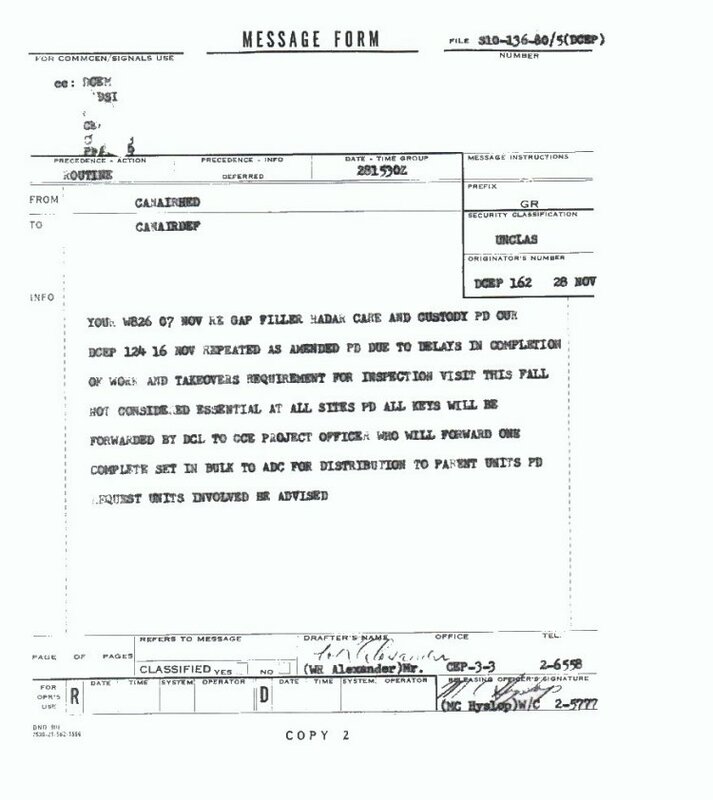 Termination of Construction: Gap Filler Radar Stations - 16 November 1962. Bridgetown and Summerville Equipment - 14 November 1962. Summary of Gap Filler Radar Stations - 1 November 1962. Alternator Sets: Gap Filler Radar Stations - 31 October 1962. Storage of Diesel Alternator Sets, page 1 of 2 - 31 October 1962. Storage of Diesel Alternator Sets, page 2 of 2 - 31 October 1962. Gap Filler Detail - 30 October 1962. Revision to Specifications - 23 October 1962. Temporary Storage of Diesel Alternator - 20 October 1962. Temporary Storage of Diesel Alternator - 12 October 1962. 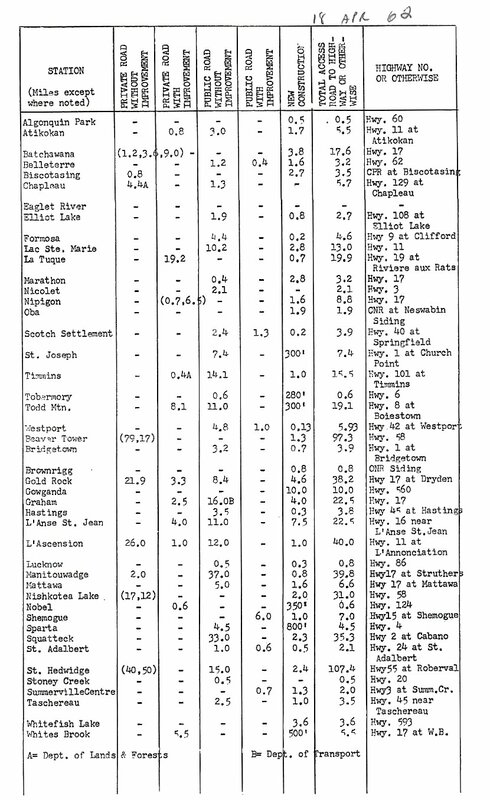 Revised Beneficial Occupancy Dates: Gap Filler Radar Stations - 10 October 1962. Tower Foundations, Access Roads, Grounding Systems: Gap Filler Radar Stations - 1 October 1962. Completion of Construction: Gap Filler Radar Stations - 25 September 1962. Redrawing of Standard Radar Building - 25 September 1962. Care & Custody: Gap Filler Radar Stations - 17 September 1962. Care & Custody Appendix "A": Gap Filler Radar Stations - 17 September 1962. Status of Construction: Gap Filler Radar Stations - 14 September 1962. Status of Construction - 14 September 1962. Care & Custody: Gap Filler Radar Stations - 12 September 1962. Care & Custody: Gap Filler Radar Stations - 6 September 1962. Acquisition of Property: Gap Filler Programme - 30 August 1962. Property Requirements: Gap Filler Programme - 29 August 1962. Deferrment of Gap Filler Program - 16 August 1962. 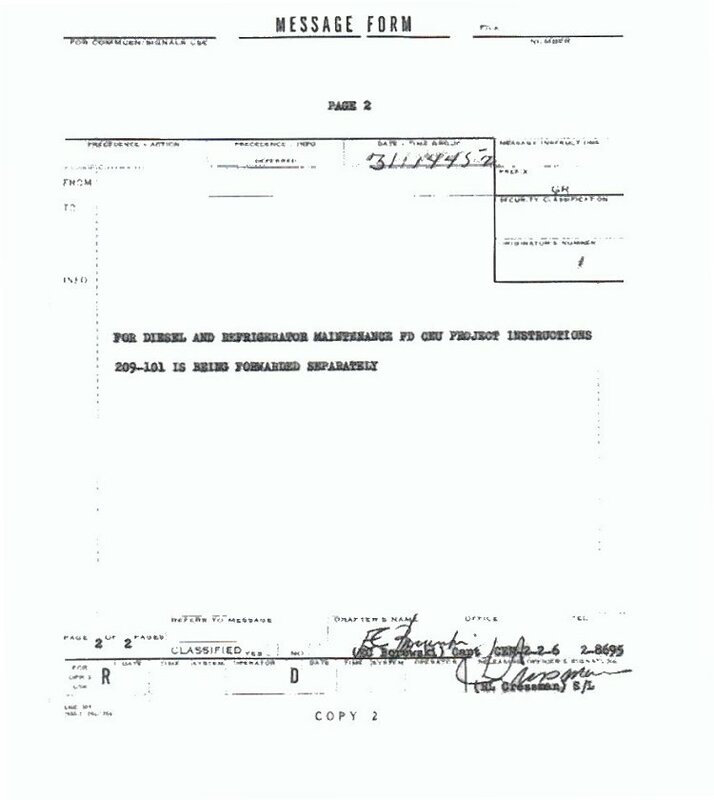 Termination of Construction: Gap Filler Radar Stations - 14 August 1962. 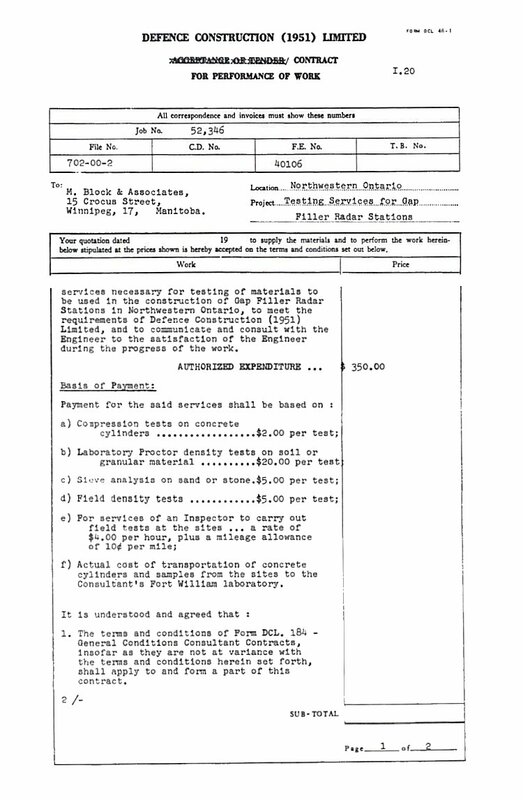 Termination of Construction: Gap Filler Radar Stations - 13 August 1962. Acquisition of Property: Gap Filler Programme - 10 August 1962. Gap Fillers - 9 August 1962. Deferrment of Gap Filler Program - 8 August 1962. Property Requirements: Deferred Gap Filler Programme - 1962. Land Acquisition: Site and Access Roads - 2 August 1962. Gap Filler Radar Stations: Northwestern Ontario - 2 August 1962. Gap Filler Program: Atlantic Region - 1 August 1962. 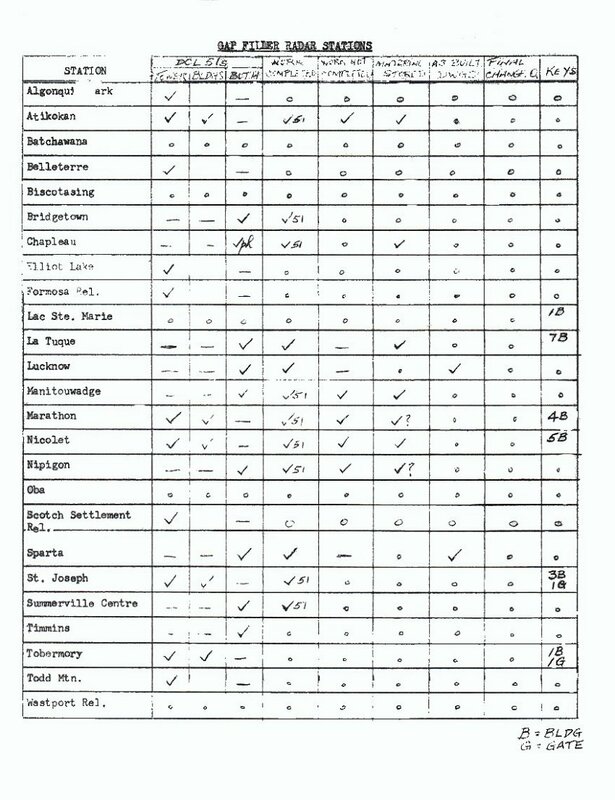 Status Report on Gap Filler Sites - 31 July 1962. Diesel Power Units - 20 July 1962. Radar Buildings: Gap Filler Radar Stations - 9 July 1962. Timber Cutting Permits - 6 July 1962. Gap Filler Construction Status - 22 June 1962. Takeover of Radar Towers - 15 June 1962. Revisions to Drawings & Specifications - 15 June 1962. Revisions to Drawings & Specifications - 6 June 1962. Construction Progress Reports: Gap Fillers - 5 June 1962. Gap Filler Sites - 14 May 1962. Gap Fillers: Listing of Locations - 18 April 1962. Report on Public Roads - 18 April 1962. Gap Filler Radar Stations - 12 April 1962. Field Survey & Design Work - 10 April 1962. 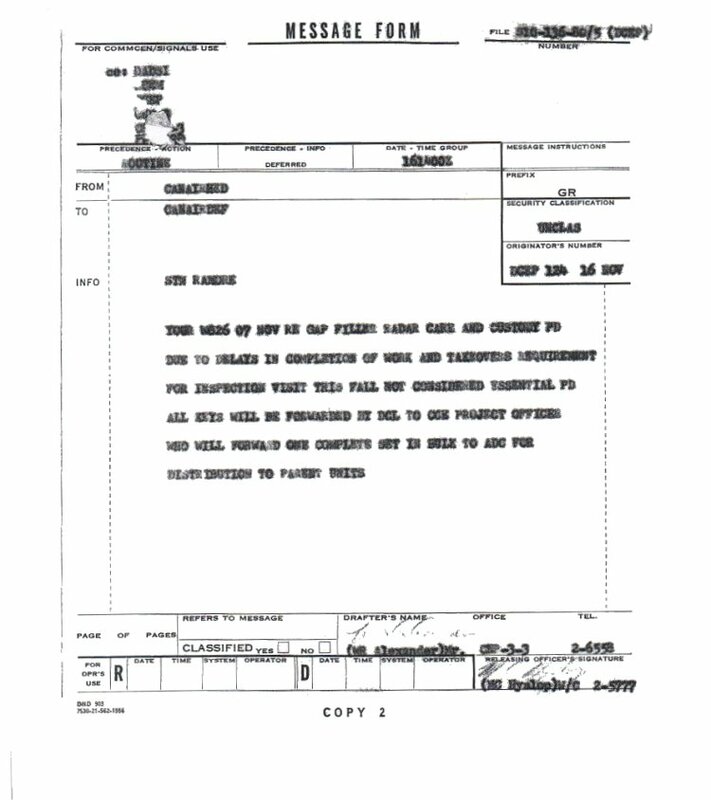 Contract, page 1 of 2 - 30 March 1962. 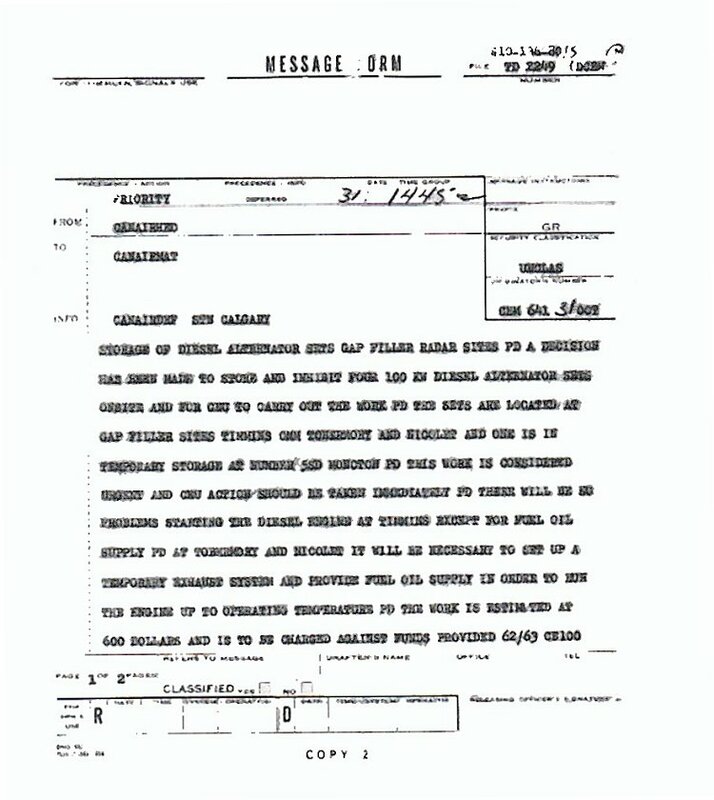 Contract, page 2 of 2 - 30 March 1962. Testing Services: Gap Filler Radar Stations - 30 March 1962. Logistics Plans: Gap Filler Radar Stations - 28 March 1962. Gap Filler Radar Stations - 23 March 1962. 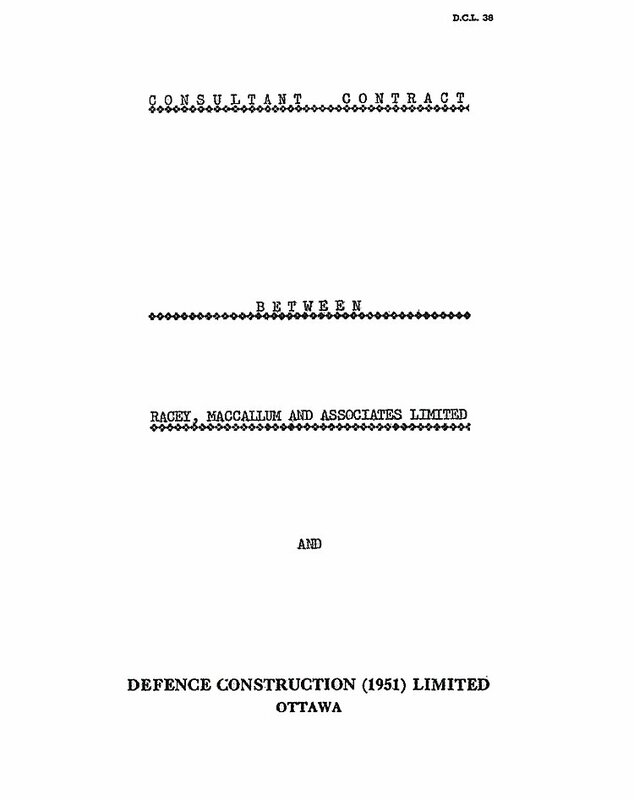 Consultant Contract: Cover page - 13 March 1962. Material Testing: Gap Gillers - 13 March 1962. Property Acquisitions: Gap Filler Radar Stations - 5 March 1962. 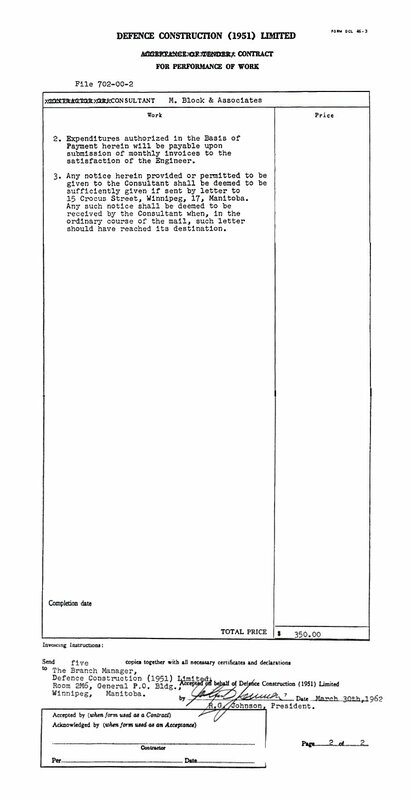 General Revisions to Drawings and Specifications - 15 February 1962. Gap Filler Sites: Province of Quebec - 31 January 1962. Access Roads: Gap Filler Radar Stations - 29 January 1962. Proposed Gap Filler Sites - 25 January 1962. Gap Filler Sites: Construction Dates - 24 January 1962. 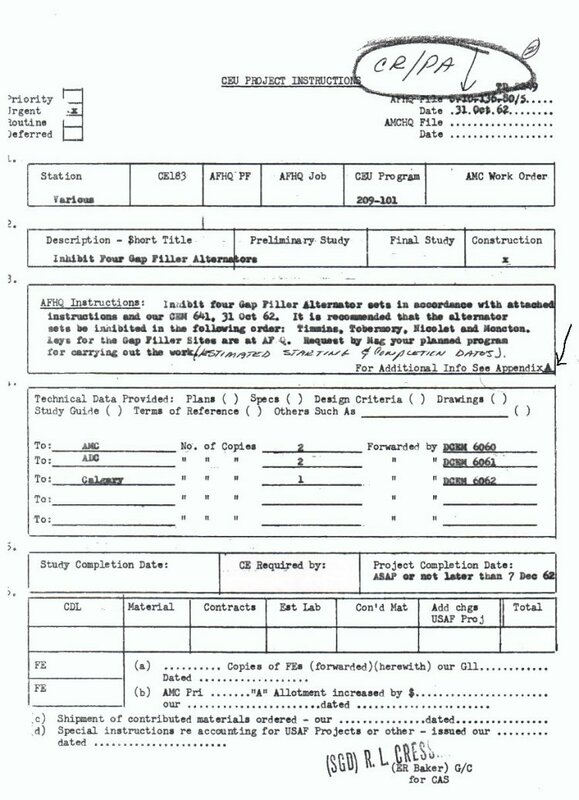 Apprendix A to Construction Dates - 24 January 1962. Construction of Access Roads - 24 January 1962. Gap Filler Radar Stations - 22 January 1962. Gap Filler Radar Stations: Ontario - 15 January 1962. Application for Work Permit - 5 January 1962.